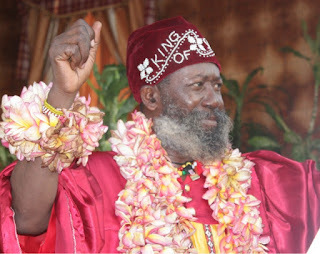 Satguru Maharaj ji, the Founder of the One Love Family, says the All Progressives Congress will rule Nigeria beyond 2019 in spite of the acrimony in the party. The sect leader said this in Ibadan on Friday at a press conference to mark the 36th anniversary of the group. He said what the ruling APC needed to do was to ensure that those who defected from the PDP to the party were monitored to ensure that they do not tarnish the good intention of President Muhammadu Buhari. Maharaj ji also said the defection of some PDP members to APC was to escape prosecution for offences with which they had been charged. “If this is complied with, APC will stand by the name of Maharaj ji. “I will make sure I support the party so that Nigeria would be free to enjoy the dividends of democracy. “Those that steal Nigeria’s money cannot escape; they would be fished out and forced to return every kobo they have stolen. “I recommend to the Federal Government to give one per cent of any loot recovered to any Nigerian who is able to offer fruitful information on such hidden money. “This would assist in the speedy recovery of stolen money and create a new image for Nigeria to the outside world. “Presently, the whole world looks at Nigeria as a country that encourages corruption,’’ Maharaj ji said. Reacting to Donald Trump’s victory as U.S President-elect, the sect leader said the new administration would bring greater benefits to Africa and the global community.